Just a few short years ago, when Scion closed its doors, we were stoked to learn that one of its hottest recent vehicles would get to live on by becoming the Corolla Hatchback. 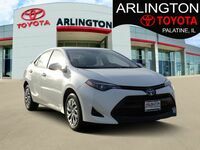 Having a more versatile model option for the popular compact sedan was huge, as the Corolla is one of the most iconic vehicles on the lineup, if not the most. So, you can imagine our excitement this year when the 2020 Toyota Corolla Hybrid in Palatine IL was announced. Finally, this iconic vehicle that has been a part of the Toyota lineup since 1966 – over five whole decades of experience and legacy – will be getting a version based on the hybrid technology pioneered by the brand as well. The Corolla Hybrid is going to deliver all of the style and content you’ve come to expect from the Corolla sedan with the added bonus of a hybrid powertrain, making it the most fuel-efficient Corolla model ever. So, let’s dig into what makes the Corolla Hybrid so special – its hybrid powertrain. Combining the 1.8L 4-cylinder engine from last year’s Corolla Sedan with the Hybrid Synergy Drive technology, which includes a Nickel-Metal Hydride battery, positioned right where it’s best for balance, distribution and handling. What you really want to know are the specs, though. While it only generates 121 horsepower, it achieves 53 miles per gallon through city streets and 52 mpg on the highway. 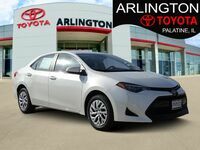 Those are impressive numbers, as expected.As for exclusive features, outside of the obvious powertrain, the Corolla Hybrid comes equipped with 15” aluminum alloy wheels wrapped in low-rolling resistance tires. The Multi-Information Display is also increased to an awesome seven inches, adding a hybrid system indicator and real-time battery charge status indicator. Outside of those, it’s packed with many of the same features and content found in the gas version of the all-new 2020 Corolla. 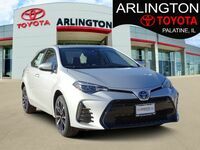 If you’re interested in an incredible Corolla Hybrid of your own, be sure to get in touch with us right here at Arlington Toyota.